Tina Fey is hosting Saturday Night Live this week. We repeat: Tina Fey is hosting SNL! After nine years of being a cast member and writer on the comedy skit series, Fey decided to branch out and show off her comedic talents in numerous other ways, but SNL is her home and come this Saturday's season finale, she's heading back…as the host. In honor of Fey's return to the long-running show, we started watching some of Tina's best SNL skits as well as her best comedic roles to date. Yes, it was a barrel full of laughs and you need to get on our level. Scroll through this story to see some of the funniest roles and characters that Fey has ever played, both on TV and in film, and vote for your favorite of all time. We know it'll be hard to choose, but you can do it. If there is one thing we can all agree on it's the fact that Fey's impression Republican politico Sarah Palin is spot on! She's done her perfect Palin character so many times that you can re-watch her as Palin over and over again until you can't breathe from laughing so hard. If it wasn't for SNL we wouldn't have Mean Girls. After Fey came up with the plan to write this hilarious film, she went to SNL creator Lorne Michaels and together they made it happen. The genius about this movie is that not only is Fey the mastermind for it, but she also played Ms. Norbury, who is a math teacher and bar tender who pushes people and we just love her so much. If you're not watching Fey's current TV baby Unbreakable Kimmy Schmidt, then you're missing out. On the Netflix series, Fey has made numerous appearances as the drunk Dr. Andrea Bayden. Andrea is a hot mess who is always tipsy. It's brilliant and we need more of her ASAP. Every week that Fey was the co-host of "Weekend Update" for SNL was a good week in our minds. She was witty, funny, truthful and full of great moments. One of the best moments from this skit was when she returned as a guest alongside Colin Jost and Michael Che and ate a sheet cake. It's just so stinking funny. Claire Foster, AKA Fey's character in Date Night, is totally relatable and makes us laugh at pretty much everything she does. The best part of this movie might be when she photobombs Will.i.am at dinner and does a total mom move. We could use a sequel to this film stat. Liz Lemon forever! Fey's 30 Rock character will forever live on in the hearts of the show's fans, so why not bring her back for real this Saturday?! Who can forget hilarious moments like night cheese or LOL lines like "I already have a drink, do you think he'd buy me mozzarella sticks?" Liz really is all of us. Plus, who can forget her memorable catchphrases including, "shut it down" and "blergh!" 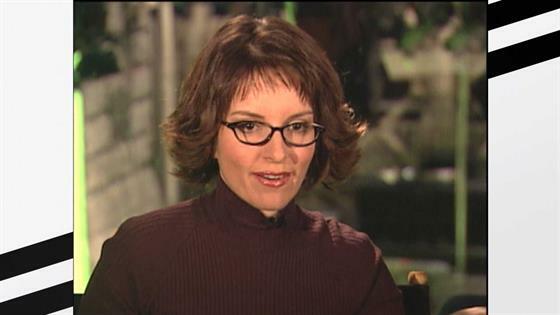 Liz Lemon was the character to watch on the NBC comedy. Amy Poehler and Tina Fey: BFF Moments! This would ideally mean that Amy Poehler would also make a cameo on the season finale, but either way, Fey needs to play Barbara Bush again. She's so sassy and girly. Plus, playing a teen girl is right up her alley and being a drunk twin is even better. Remember "Mom Jeans" or "Kotex Classic?" Every commercial that Fey was in on SNL was a winner to us and you can't help but laugh while watching them. When she hosts the finale episode this week we vote for her selling numerous fake products throughout the show. Which of Fey's characters have you been missing lately? Vote for your No. 1 Fey role in our poll now! Which of Tina Fey's roles is your all-time favorite?